James Guy and Tom Dean starred as Great Britain won 4x200m Freestyle Relay gold on the third day of the 2018 European Championships in Glasgow. The two English swimmers combined with Wales’ Calum Jarvis and Scotland’s Duncan Scott to clock a Championship record 7:05.32. Fastest qualifiers Russia were next best on 7:06.66 while Italy took bronze on 7:07.58. While the British quartet came into the event as world champions and Olympic silver medallists, they hadn’t landed the long course European title since 1997. But after Jarvis (1:47.17) and Scott (1:45.48) handed over to Dean with nearly a second in hand on the field, the two English swimmers brought the quartet comfortably home. 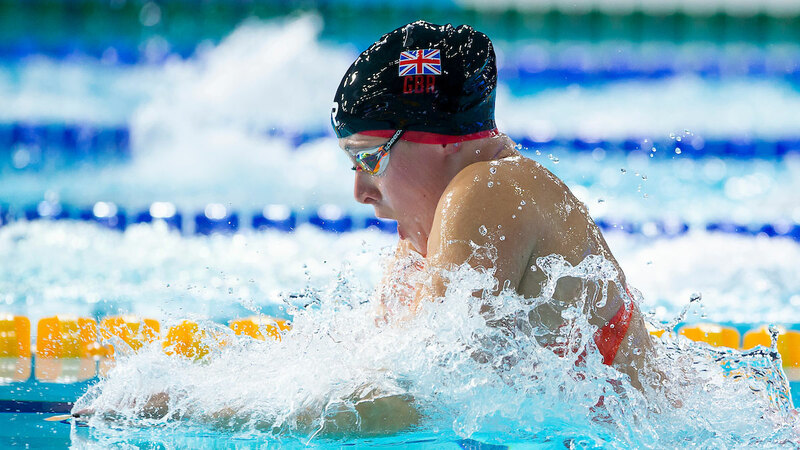 Teenager Dean, who retained his 200m Individual Medley title at the European Junior Championships last month, split 1:47.07 to keep the British in front. Finally, Guy, who had scratched his entry in the 200m Butterfly final to save his best for the relay, stopped the clock on a 1:45.60 split. “It was definitely worth it [scratching the 200m Butterfly final],” said Guy. “Doing the 200m Fly and that would have been absolute suicide because there was no rest at all in between the two events. Dean added: “It was tough coming back from European Juniors and back into training straight away after what was my target me. Siobhan-Marie O’Connor was the only English individual finalist of the night. The Olympic 200m IM silver medallist finished fifth in the 100m Breaststroke, finishing less than a second shy of the podium on 1:07.30. Meanwhile, four English swimmers booked places in tomorrow’s finals. Holly Hibbott (1:58.46) and Ellie Faulkner (1:58.71) were fifth and seventh fastest through respectively from the 200m Freestyle semis while Max Litchfield (1:57.62) was second fastest into the 200m IM final. Last night’s 100m Breaststroke semi finalist James Wilby was also in action on day three, sealing a spot in the 200m Breaststroke final – the event in which he was crowned Commonwealth champion earlier this season. Wilby stopped the clock on 2:09.59 to finish third in his semi and fifth fastest into the final. “I’m quietly confident I can improve,” said Wilby, who became the fourth fastest man of all time over 100m Breaststroke on day two.